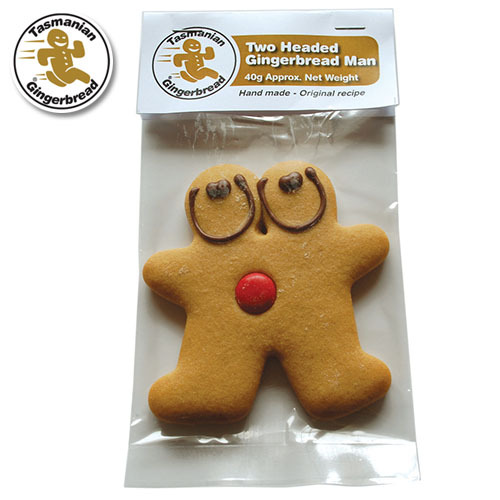 Two Headed Gingerbread Men three pack - Original Recipe in bag with hangsell tag. - CHOCOLATE GINGERBREAD contains Cocoa. (Image of single pack shown).